MainAll NewsMiddle EastIranian gov't responsible for Holocaust denial? Iranian gov't responsible for Holocaust denial? Iran's FM: No connection between the government and Holocaust denial cartoons contest. US museum: He is lying. In his speech at the Holocaust Remembrance Day ceremony at Yad Vashem, Prime Minister Binyamin Netanyahu recalled the Holocaust denial cartoons contest in Iran and emphasized that Holocaust denial still continues with those who seek to destroy Israel. Meanwhile, the Iranian government is trying to deny responsibility for the anti-Semitic event. 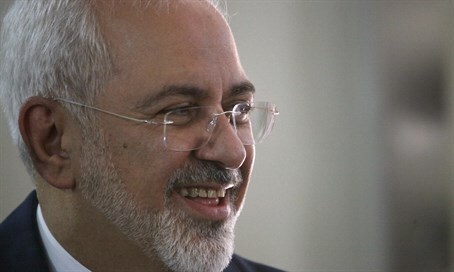 Moreover, Zarif compared those organizing the cartoon festival, which solicits cartoons denying the Holocaust or questioning its importance in recent Western history, to the Ku Klux Klan. Contradicting his statement, the U.S. Holocaust Memorial Museum observed that the organizations associated with the contest are indeed supported by government entities and that previous contests in 2006 and 2015 have been endorsed by Iranian government officials and agencies. Moreover, when Zarif was appointed to serve as Rouhani’s foreign minister in 2013, he refused to condemn the Holocaust.